Here at St. Mark, music is central to our worship and fellowship together. Music is a universal means of expression. We use it to share our joy, awe, and thankfulness for God’s love and blessings. Often times this music is part of our congregational singing, but there are also some musical group opportunities. Our adult mixed choir (high school through adult) meets through the school year on Wednesdays from 7:00pm to 8:30pm in the Sanctuary. We regularly sing on Sundays at the 8:30am and/or 11:00am services. We also offer special music events during Advent, Holy Week , and in the spring. The ability to read music is not a requirement…just a willingness to share the joy we find in musical expression! Interested adults and teens are encouraged to join the Chancel Choir! This instrumental group meets on Thursday evenings from 7:00pm to 8:30pm in the Sanctuary. 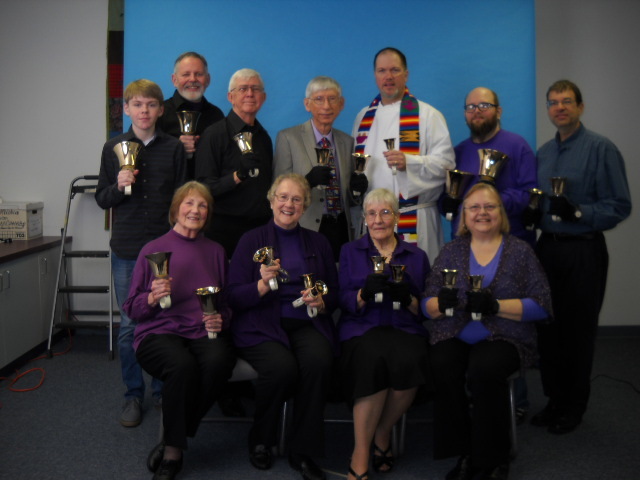 The PraiseRing group plays both handbells and chimes. We participate in the worship service monthly, at both services, as well as at special music programs. The ability to read music is not a requirement. If you are in middle school through adult, please consider joining us! 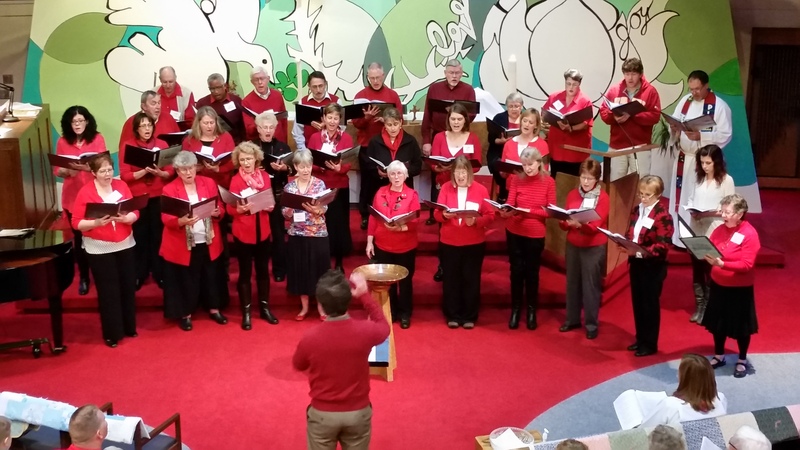 There are many in our congregation who may or may not participate in our musical groups, but are interested in sharing their vocal and instrumental gifts through solos and small ensembles. Musicians of all ages and abilities are encouraged to contact us for participating in our worship in this way. 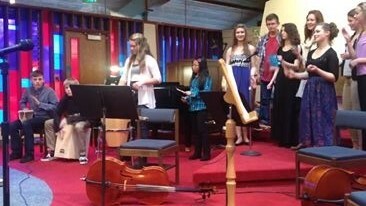 Music at St. Mark is an essential element of our worship. St. Mark has always had Music as a central part of worship. If you enjoy singing, playing an instrument, or just listening to spirit-filled music, this is a place for you!